We had passed through Sihanoukville twice before, once in 2012 and again in 2014, but the dirty beaches left us unimpressed. Locals and expats had told us that Otres Beach was cleaner and less crowded than the beaches in town and we finally made our way there in October 2016. Early morning stroll, in search of breakfast. Low season in Sihanoukville is from the end of July until the end of October. It will be less crowded but there is lots of rain. We went in October and while it did rain on most days, there was still enough sun to enjoy the beach. A word of warning, the Pchum Ben holiday falls in October and some businesses may be closed at that time. 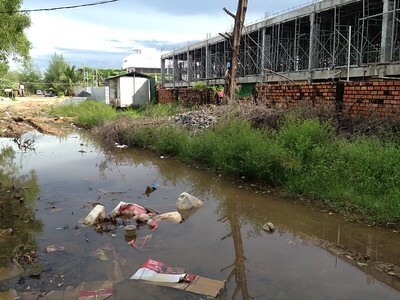 We made the mistake of arriving on a weekend during Pchum Ben and there were no buses running from the border. We ended up having to take a much more expensive private taxi from the border to Sihanoukville. Some restaurants were closed for the holiday but there were still plenty open. Supermarkets were open but were not stocked on things like fresh bread because the bakery was closed. Check Wikipedia for the date of Pchum Ben before you go as it falls on a different date each year. Sunset on Otres Beach. 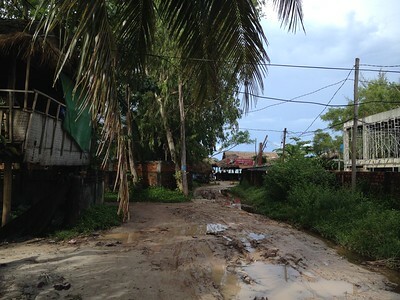 Sihanoukville, Cambodia. Otres Beach is a 15-minute tuk-tuk ride from town. Drivers charge a minimum of around $5 to get to the first part of Otres and $5-6 to get to hotels on Otres 2. On the way to Otres Beach, you will see many run-down, tin roof shacks. This is where many of the tuk-tuk drivers live. It is not really worth trying to haggle these guys down a dollar or two unless they are asking much more than the prices I listed. If you have seen pictures of Otres on blogs from a few years ago, you might have a mental picture of isolated beach huts on a quiet beach with little development. Get that idea out of your head right now. Yes, the beaches are much quieter than Ochheuteal and Serendipity Beaches in town. There is a more relaxed feeling here but this area is being developed rapidly. The city has plans to demolish many of those lovely beach huts and bars and force the businesses to move farther back from the water. There are also plans to build more luxury hotels. The beach here is much cleaner than those in town, at least the sections lined by hotels and restaurants as they are cleaned each day. The water is warm and clean. If you walk to the very far end of Otres 2, past the last hotel, you will have the beach completely to yourself but the beach is not cleaned and lots of plastic washes up each day. This is a problem all over the world as the oceans are full of plastic garbage. Golden River Bungalow If you need something that is budget friendly AND has air conditioning, this is a good choice. The rooms are average for a budget hotel in Cambodia and not cleaned every day. There is a nice covered seating area on the river behind the hotel where the wifi works. The swimming pool is small but shady and refreshing on a hot day. They have room service here but the food was terrible. You will want to walk around the corner to the beach for breakfast. Still, it is not a bad budget choice for a small family as it is air conditioning, a pool, decent wifi, and a television. It is quiet at night but there was some construction noise during the day (October 2016). The Secret Garden at Otres Beach Hotel These bungalows might seem expensive by Sihanoukville standards but they are very pretty and there is a nice pool. Both the bungalows and the restaurant get great reviews. Most of the beach huts and bungalows have a bar/restaurant. If you don’t like the food where you are staying, try the place next door. Breakfast: Even the smaller beach restaurants are usually able to put out a decent breakfast of scrambled eggs and toast or pancakes. If you really want something resembling a full English/Irish fry up, Heinz baked beans are widely available but the meat will not be anything like what you are used to in the UK or Ireland. Secret Garden offers dishes like Eggs Benedict ($7) or French Toast ($7). Lunch: Beach restaurants will have things like sandwiches and burgers. Quality varies. A good choice if you are spending the day on the beach, is to sample some of the grilled seafood (shrimp, squid) offered by the women who walk up and down the beach with small, portable grills. Sunshine Cafe (Otres 1) does a $5 beach barbecue in the evenings. Vegetarian options available. Naia Beach Restaurant (Otres 2) – Clean and modern looking beach restaurant. Best Fish Amok ($7) I have had in Cambodia, the fish was very fresh. Menu also has chicken nuggets ($4.50) and fries for picky eater children. Papa Pippo Bar (Otres 1) gets great reviews on TripAdvisor for its pizza and pastas. 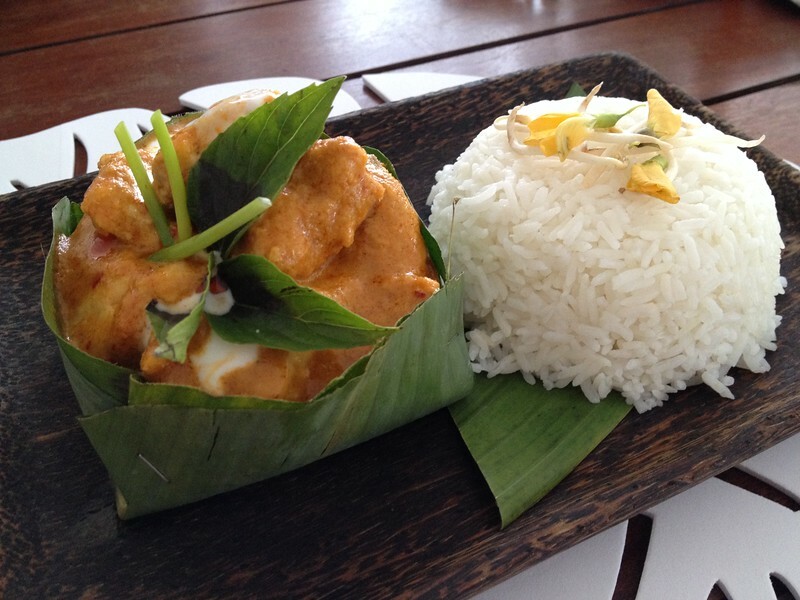 Green Lantern Thai Restaurant (Otres Village) – Missing Thai food? Take a short tuk tuk ride over to Otres Village where this restaurant gets great reviews. 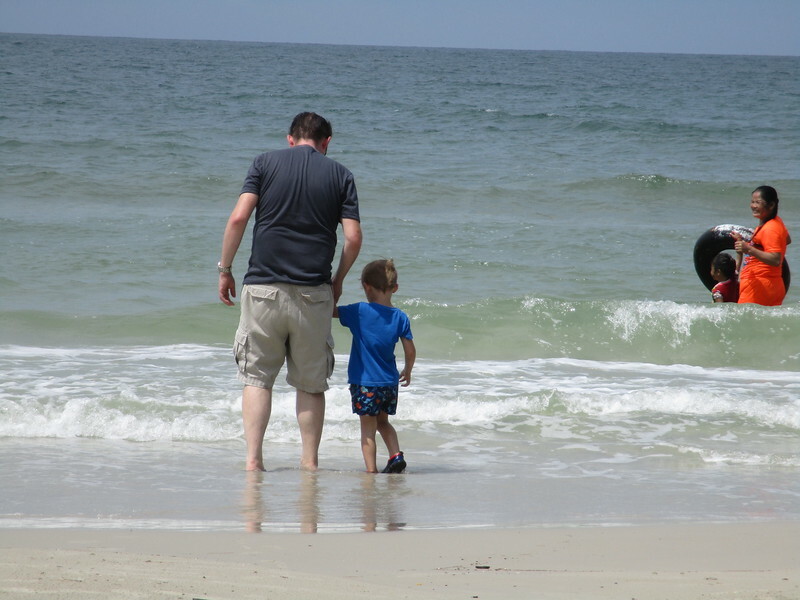 Micheal and Little Nomad test the water. 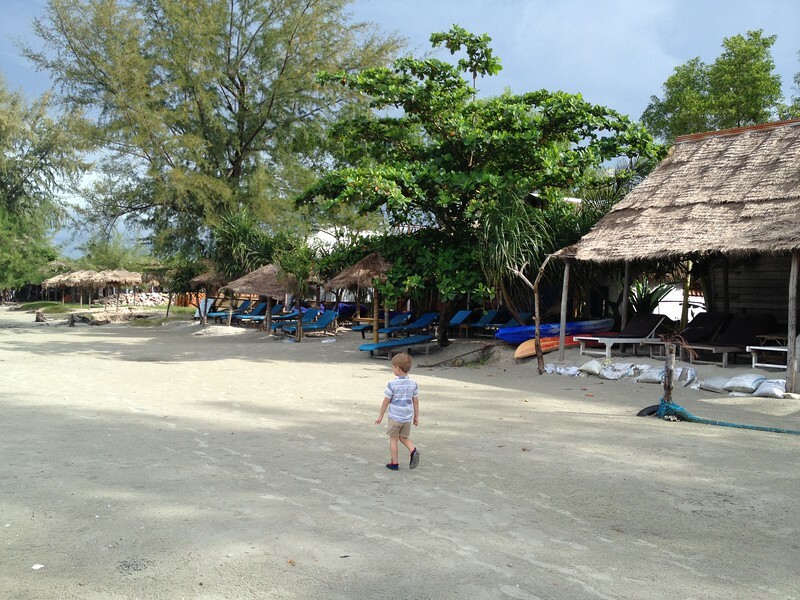 Overall, Otres Beach is more family friendly than Sihanoukville town. You will see more families there as the beach is cleaner than those in town. On holiday weekends, Cambodian families drive down from Phnom Penh to relax. There is a noticeable lack of creepy older men of the kind you find lurking all over Ochheuteal Beach. The small convenience stores have a very limited selection. If you need baby supplies or any Western groceries, you will need to take a tuk tuk into town. The supermarket with the best imported food selection is Samudera Market on Ekereach Street, any tuk tuk driver will know how to get there. Be prepared for high prices on imported food. For example, a small bag of imported grapes costs $10. While in town, have the tuk tuk driver bring you by Starfish Bakery & Cafe on Street 208 (100 from the junction with 7 Makara Street) for delicious sandwiches and baked goods. The road is not yet finished at the end of Otres 2. Construction at the end of the road. Otres 2 used to be deserted but it is being developed quickly. There was a lot of construction noise around the hotel where we were staying. The roads have not been finished yet (October 2016) and are almost impassable in the in rainy season, even on foot. There was quite a bit of rubbish around the construction sites and garbage was burned by the side of the road. I’m sure that this will improve but I want you to know what to expect if you visit anytime soon. 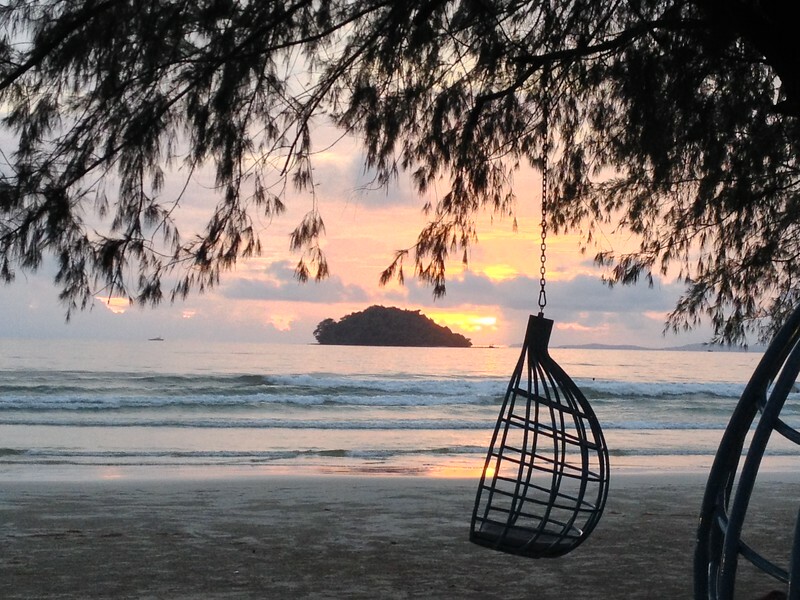 Koh Rong and Koh Rong Samloem Islands are must – visit destinations in Sihanoukville. They are much more beautiful than any beaches in town, even Otres beach. So, why don’t you go there to enjoy your holiday?